Kids footwear should be highly soft and comfy that provides their tender skin with utmost level of comfort. As the skin of the kids is very supple, the footwear should be skin friendly that does not provide rashes to it. In this concern, jute kids footwear is one of the best options. 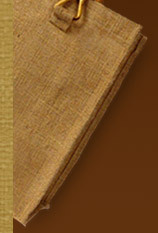 Jute is the organic material, hence foot wears designed from it are 100% natural and free from any effects. With highly soft and silky fibers, jute provides the foot wears with the ability to retain the softness of the skin and provide utmost level of comfort. The foot wears do not provide any side effect to the skin like redness, swelling due to hardness, etc. Jute kids footwear is featured with good ventilation and perspiration properties. They can easily absorb sweat helping in keeping the feet dry. Even after wearing all day long, they keep the skin free from any kind of odor, itching and affinity. They are highly durable in nature helping in accomplishing every naughty activity of kids without wear & tear. They are abrasion proof that ensures their long lasting life in spite of rough and tough wearing. They can easily withstand fire, heat, and any other harsh weather conditions allow kids to enjoy every minute without worrying about their footwear. 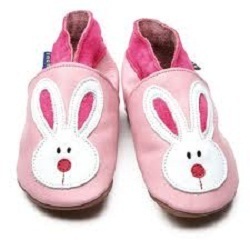 The huge collection of jute kids footwear includes slippers, shoes, sandals, floaters, and so on. Jute kids footwear are of high strength and sturdiness yet smooth to touch and soft to wear. Ideal to make every walk comfortable and enjoyable, they have become the best foot wears for kids. Along with high utility and features, they are also reckoned for incredible beauty and looks. They are available in a wide range of trendy and stylish designs besides a natural appearance. Fancy and stylish jute kids footwear can be availed at pocket friendly prices compared to the foot wears of leather, plastic and other fabric.